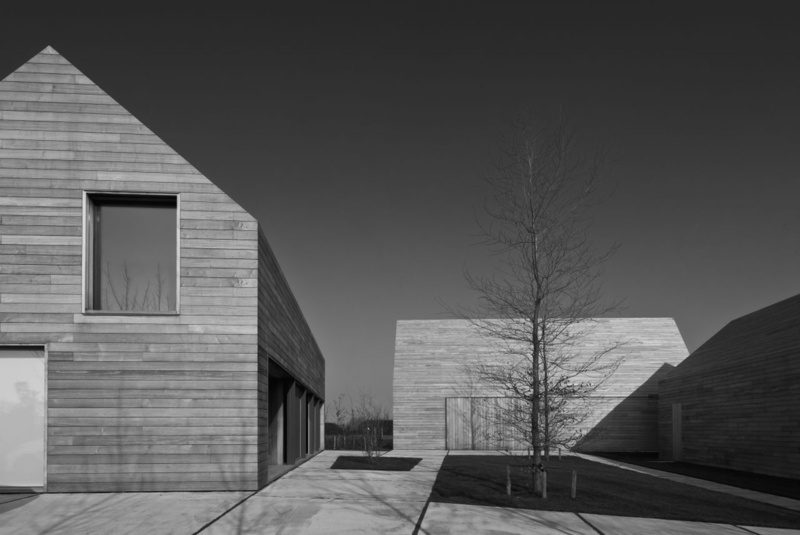 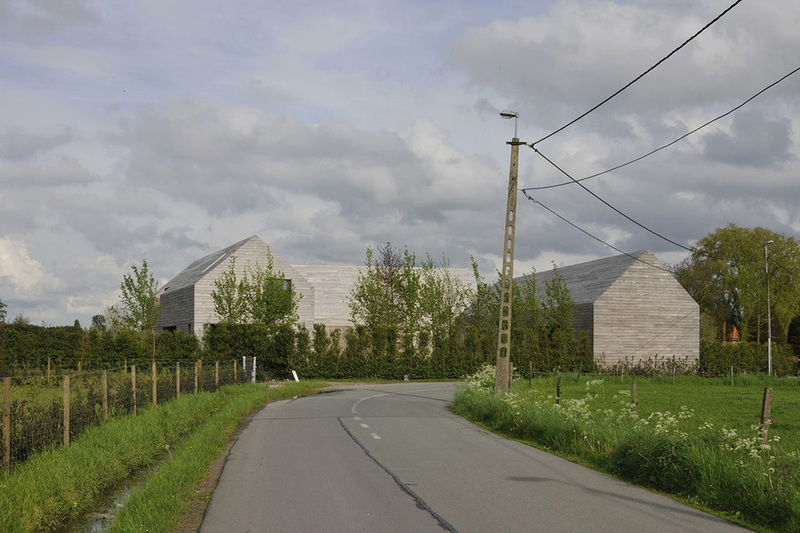 The project for a house in Tielrode is the second project for the client of the DC residence in Waasmunster, which Van Duysen designed in 1998. 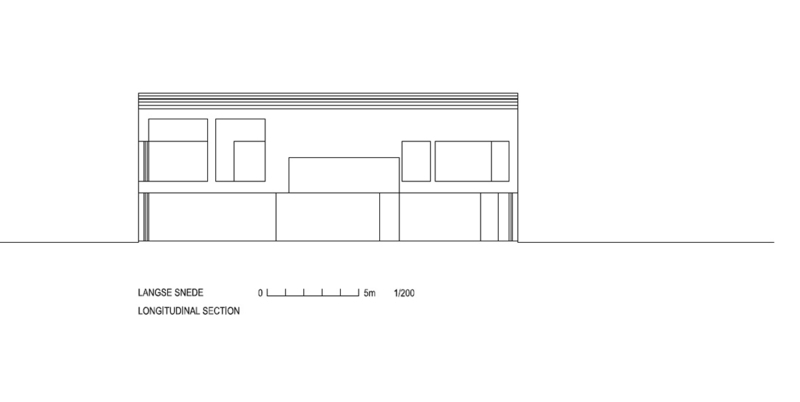 The client is moving from a purely residential neighborhood to a rural environment. 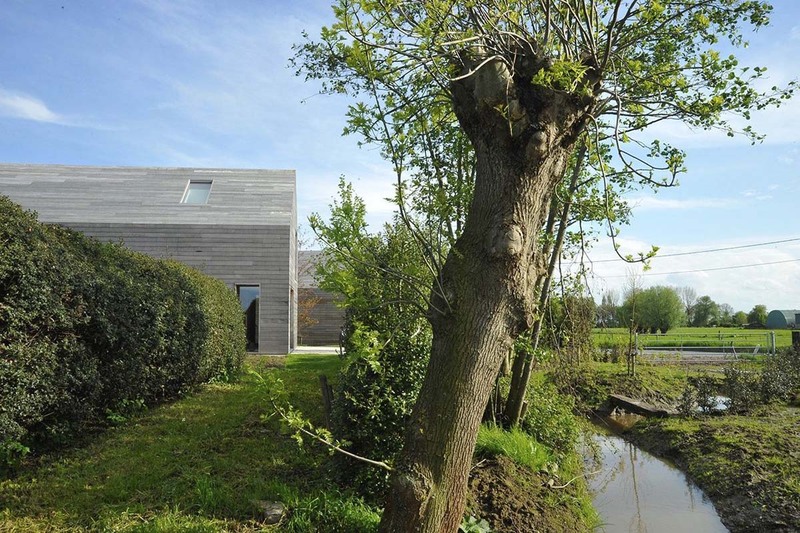 The brief existed of the building of a house, adapted to these rural and informal surroundings. 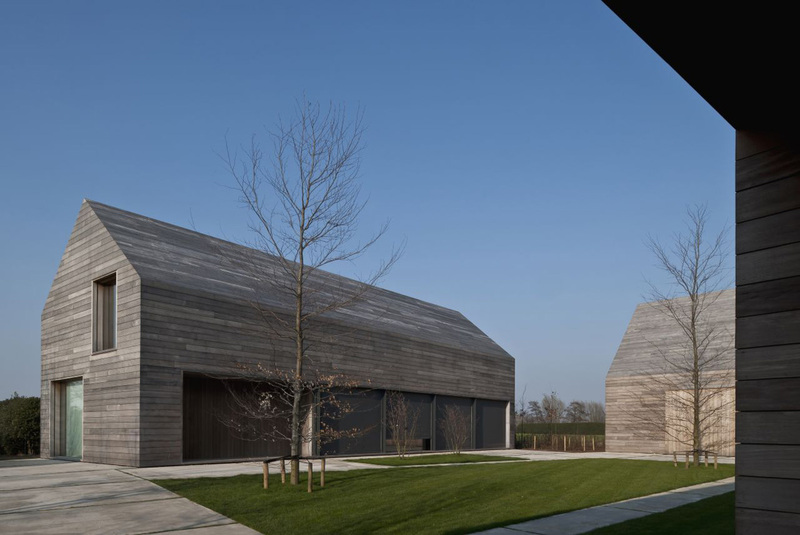 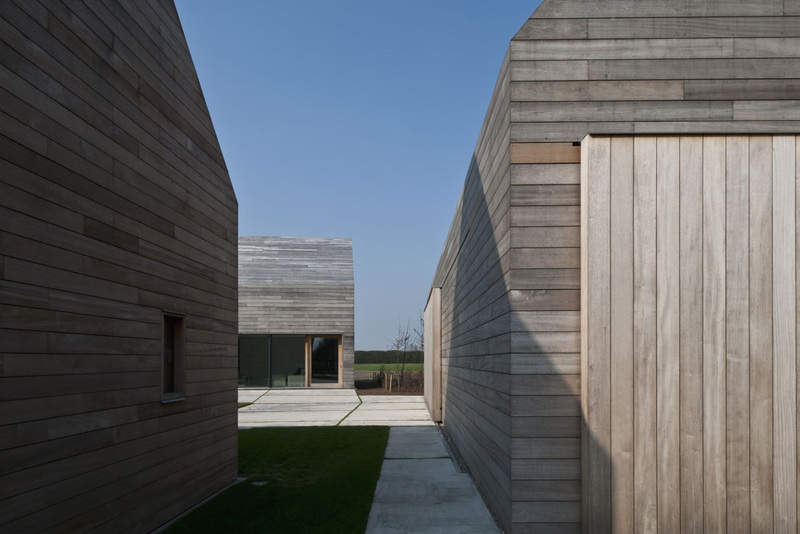 Apart from the main house, the project also concerned the renovation of the old farm barns. 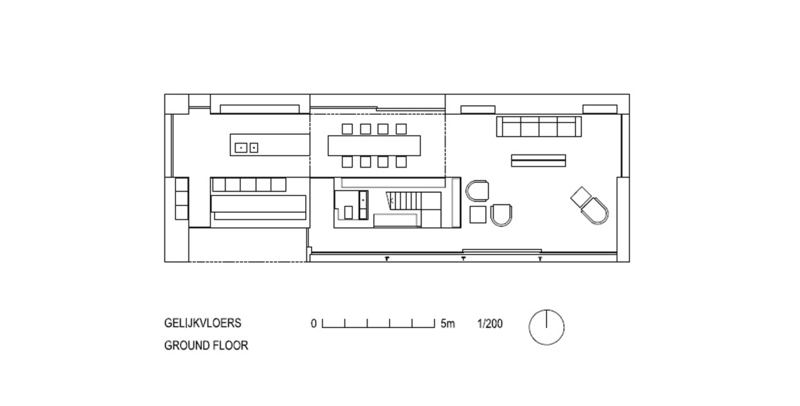 The position of the new built house was restricted by the footprint of the existing house. 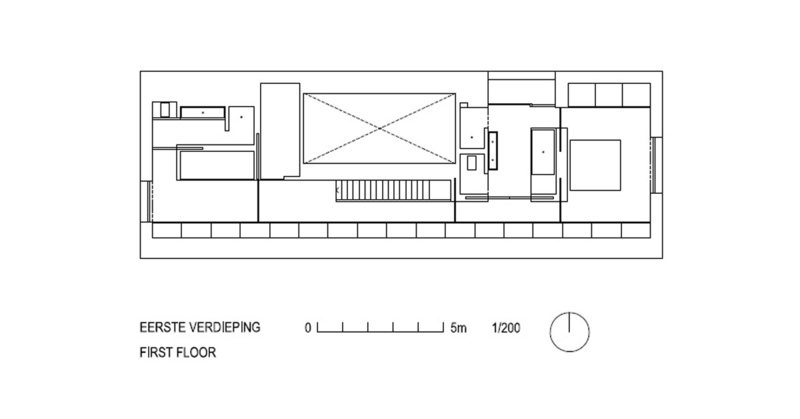 The concept of Van Duysen to go back to the simple rural building typology (a long volume parallel to the street, with a 45° gable roof) refers to the tradition of simple farm houses in the region. 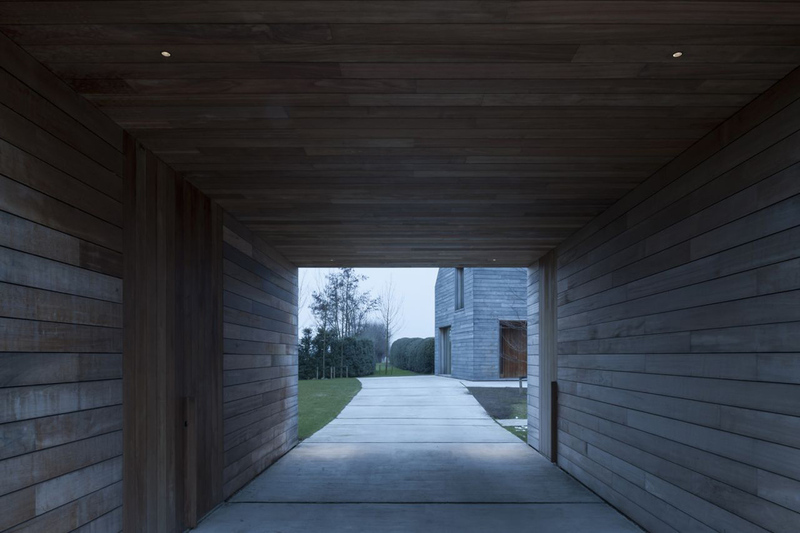 By its position, it strengthens the courtyard in between the house and the barns, opened up to the street. 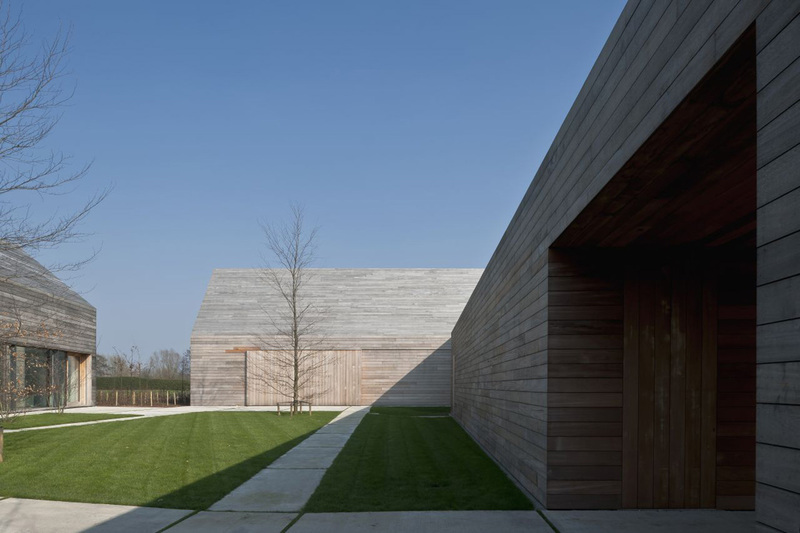 The house is situated between the courtyard and the fields, in this way enjoying both the smaller scale of the enclosed courtyard (with the midday sun), as well as the far and wide views on the fields. 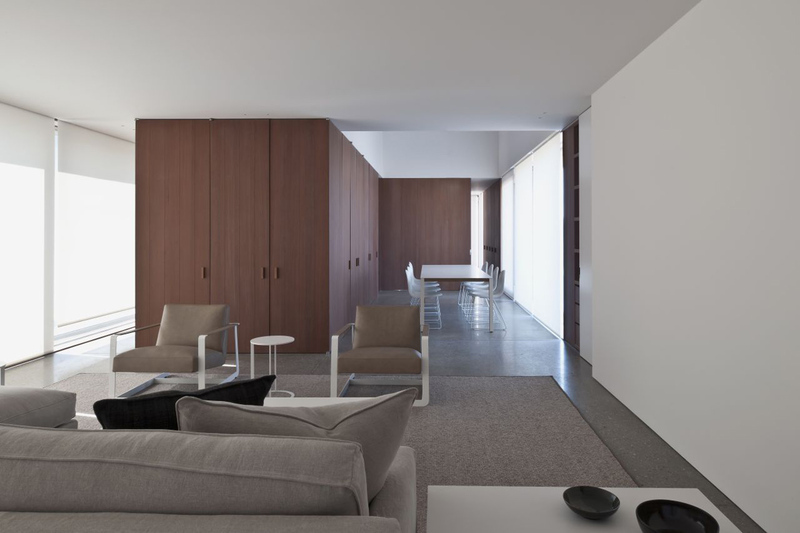 The reference to tradition in the basic volume is combined with a contemporary execution. 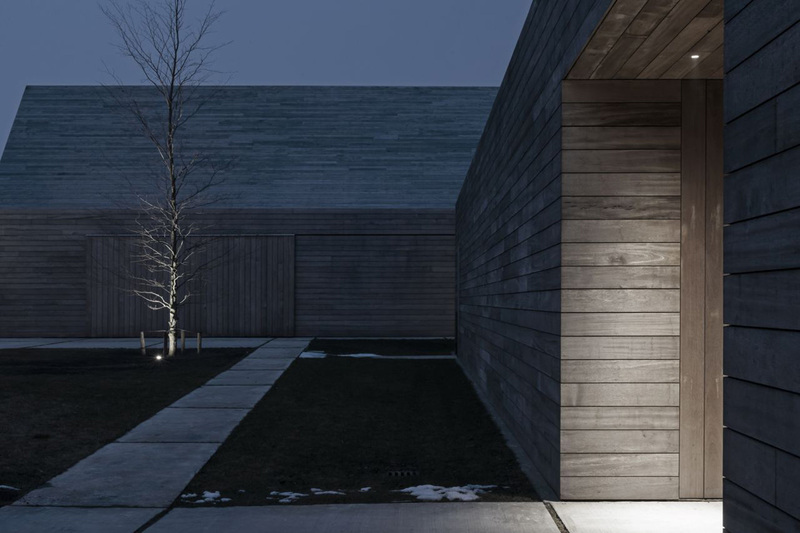 The detailed approach to the design and the material palette add to the contemporary character of the house. 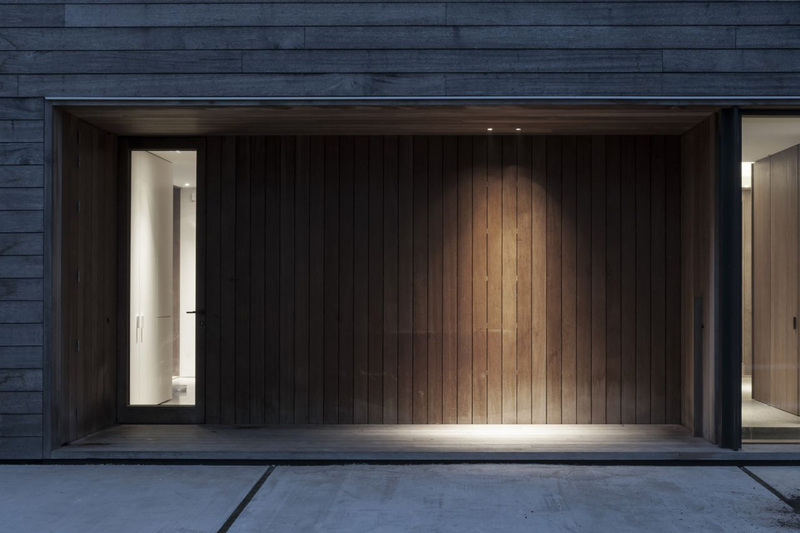 By the use of a consistent material for the façade, any ornamentation is removed from the design: the typical gutters and ridges are nearly abstract, invisible. 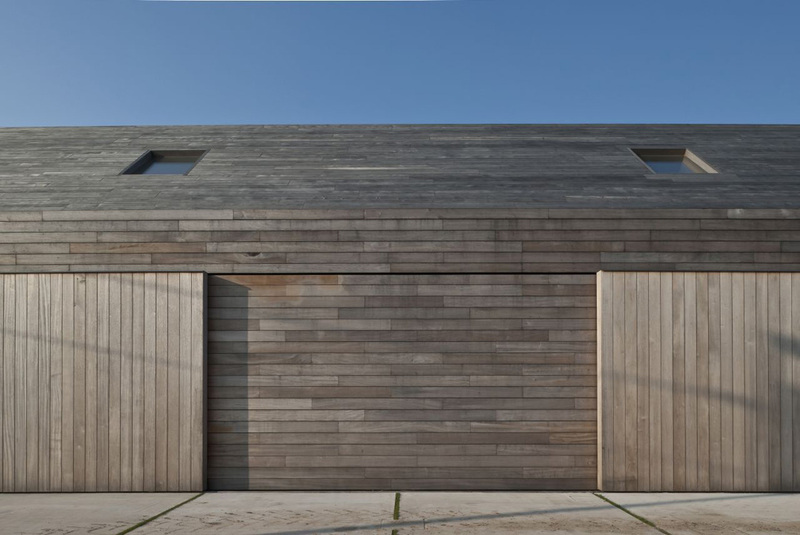 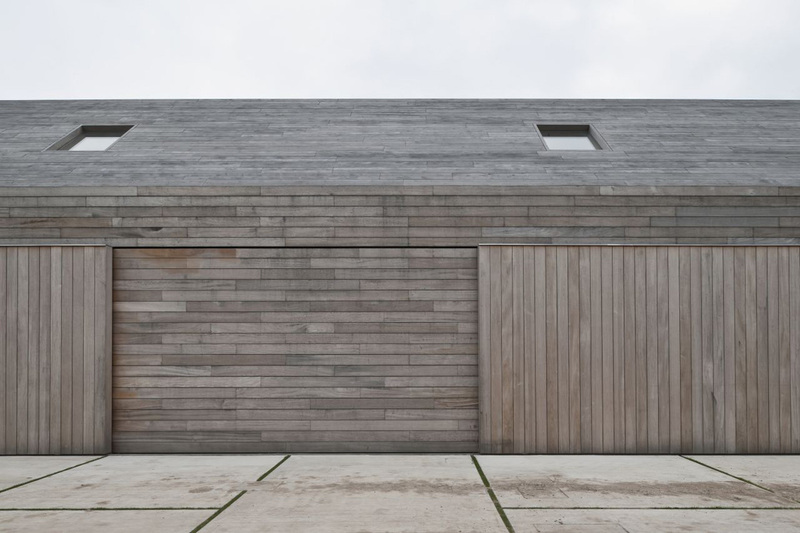 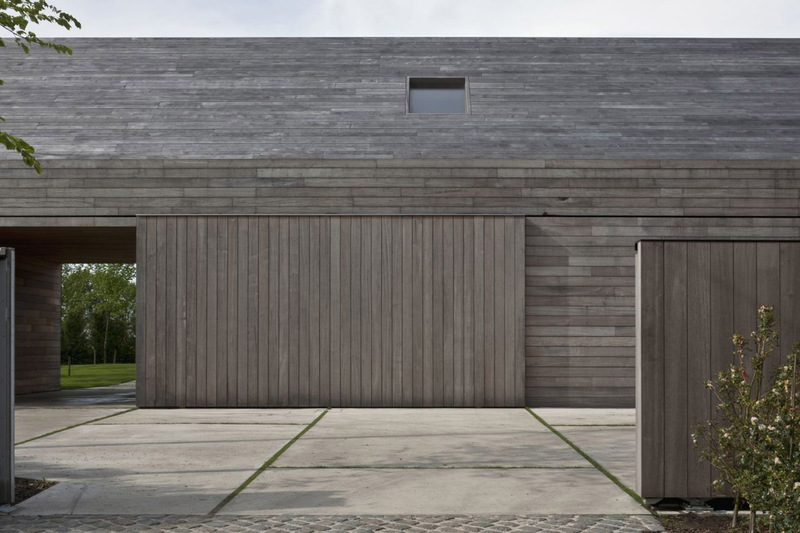 The traditional roof overhang was not executed, the door thresholds were not carried out in Belgian bluestone, and the wooden façade –making reference to the old wooden barns- is continued on the roof. 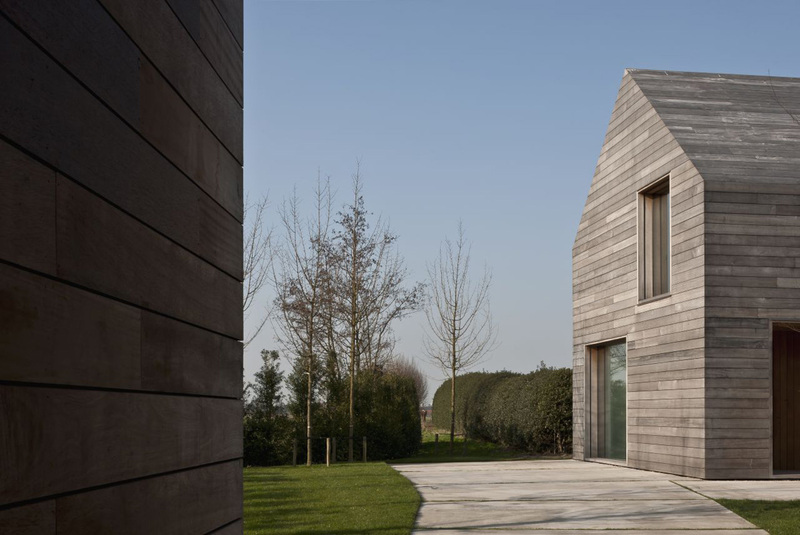 After consultation with the client and the contractor, the two old barns were not renovated but rebuilt, in the same design language as the main house, adding to the character of the total project. 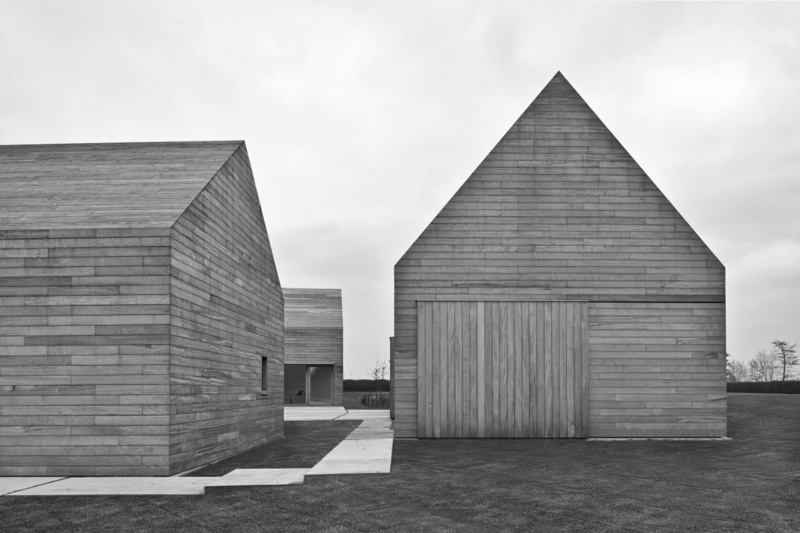 At first glance, because of their abstract character the three volumes don’t seem rooted in the rural context. 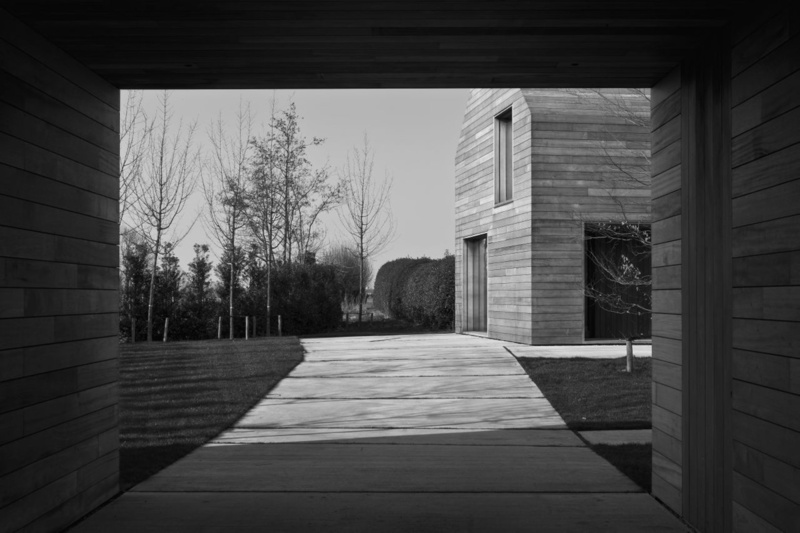 However, when you enter the courtyard, you feel that the project is indeed grown rooted in the tradition and the scale of the immediate environment. 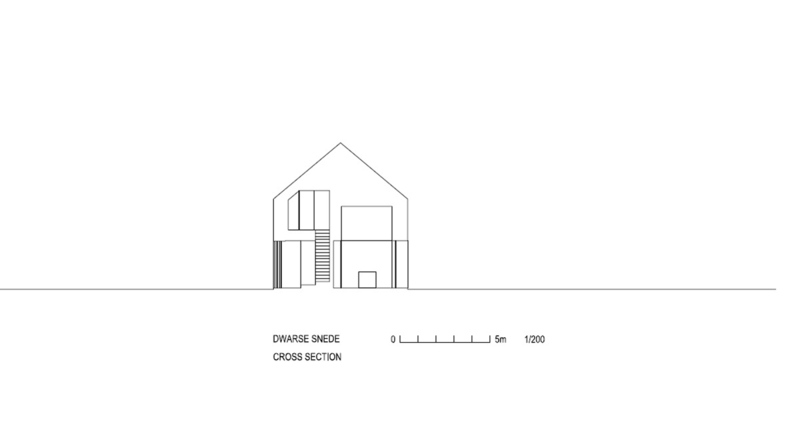 The principles of a passive house were followed and achieved in the design, with the collaboration with Denc!-studio, and architectural studio specializing in sustainable construction. 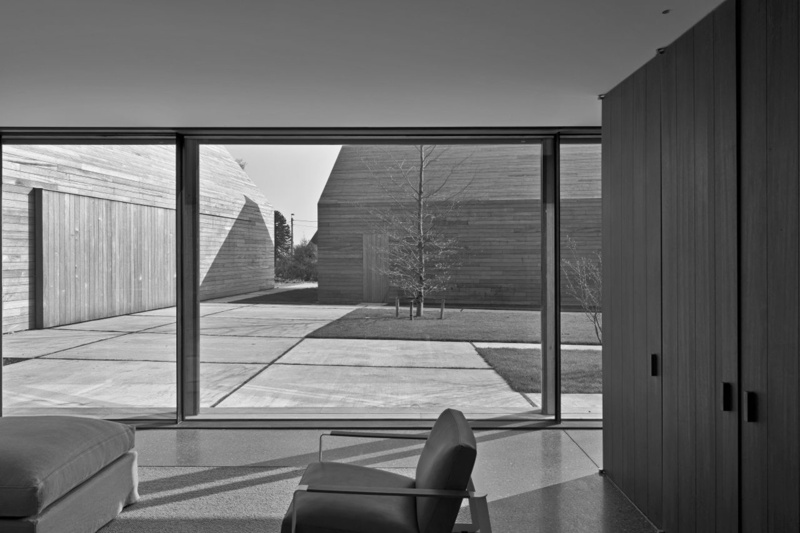 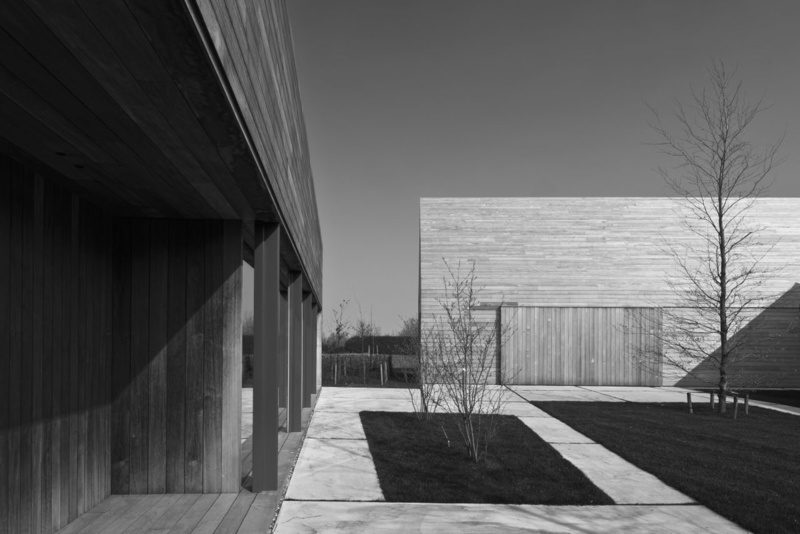 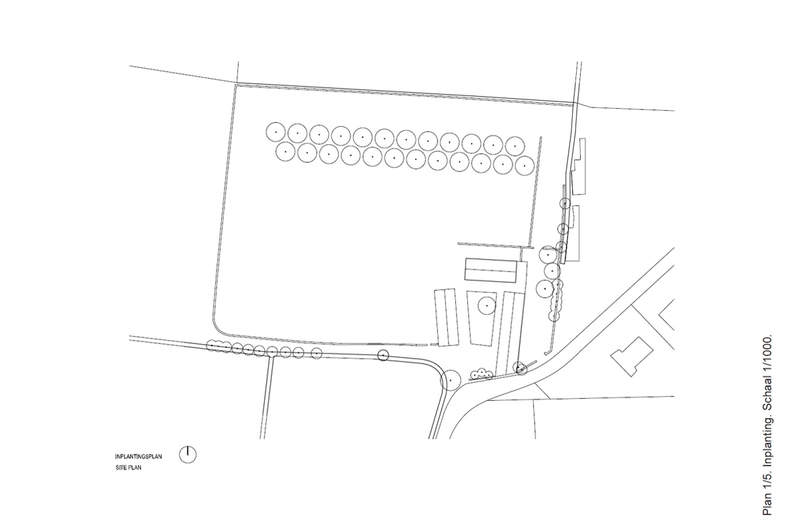 The landscape design by landscape architect Paul De Roose, was limited on purpose to the careful planning of solitary trees, the restoration of the beautiful holly hedge around the terrain and the use of a brushed concrete floor, typical for a function farm courtyard. 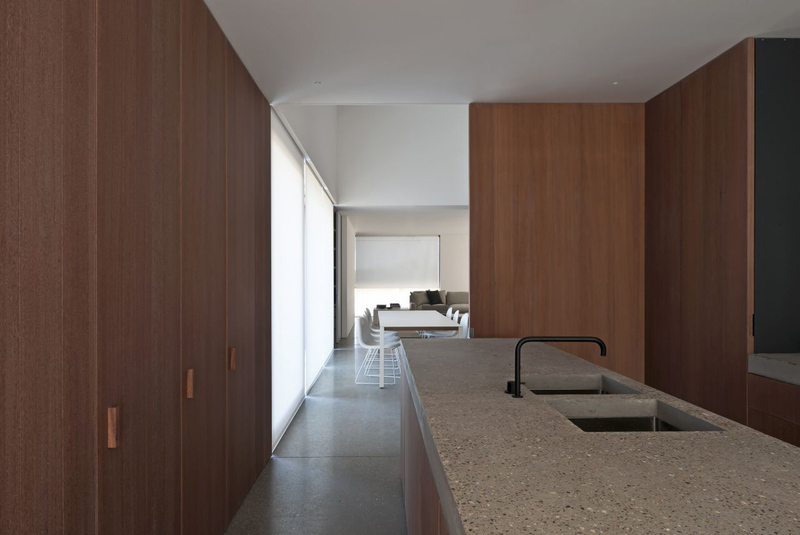 These concrete floors are continued in the house in a sandblaster finish, where they set the tone for a sober interior, fitting the atmosphere of the architectural project. 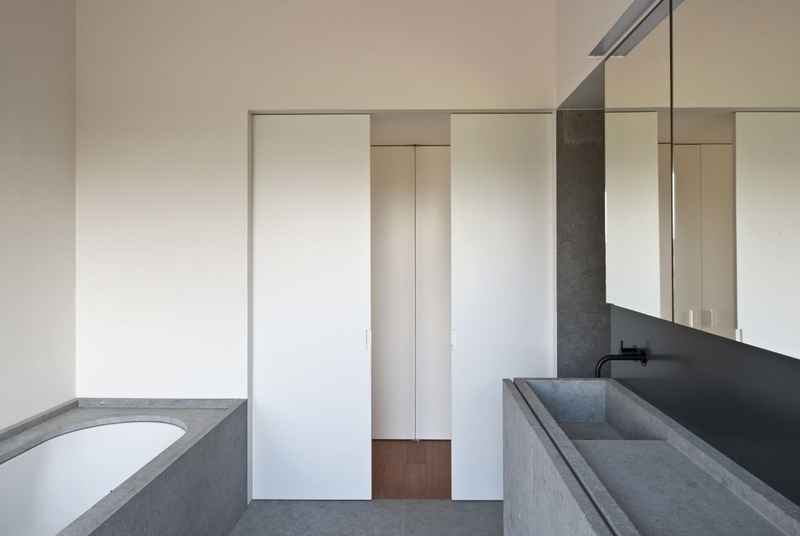 Information published by Milimetdesign is updated from the prestigious specialized websites, the architectural and interior design consulting companies and the credible resources of the Internet.